You’re invited to join us for the 11th Annual UNM Sustainability Expo, happening this year on Thursday, April 18 from 10:30am to 2:30pm on Cornell Mall. The Expo will feature a local growers’ market, interactive educational displays, and a clothing swap. The event will also showcase numerous alternative transportation, energy conservation, waste reduction, and sustainable lifestyle practices. Our intention is that attendees connect with campus and community partners, and leave the Expo inspired to take action in their personal lives. Grab lunch from the Street Food Institute or My Sweet Basil food trucks, and stick around for live music from Santa Fe-based fol artist Eryn Bent during the noon hour. Interact with sustainability-minded organizations at a variety of engaging displays and activities. Learn about sustainable initiatives on campus and in the surrounding community. Bring home some plant starts for your backyard garden or some fresh produce for dinner. This Expo is organized by UNM students in the Sustainability Studies Program Local Food Systems Practicum class. 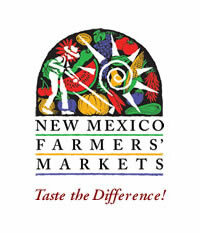 Longtime coordinating partners include the UNM Office of Sustainability and UNM Parking and Transportation Services. Stay up to date on Expo happenings on our Facebook page. Come celebrate Earth Day with us – a few days early – on April 18!